We believe in the transformational power of assessment. We are clear that education is as much a philosophical undertaking, underpinned by social as well as educational values, as it is a technical exercise carried out by a professional body of experts. 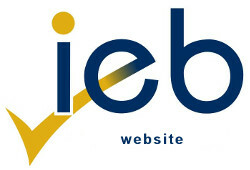 The Intentional Educational Beliefs of the IEB. We have a reputation for developing assessment instruments that require a critical response from learners, and hence demand a critical engagement on the part of learners with learning material. Today the IEB, whilst still maintaining its independence, is a leader in innovative assessments that are relevant to South Africa. The IEB has also established itself as a significant role-player and a key partner to government in building our education system in a democratic South Africa.